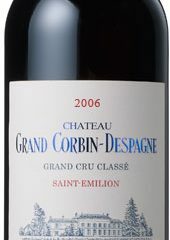 For wine-lovers who rarely have a chance to taste older Bordeaux vintages, this is a great experience. Before we began the day with our formal tasting, we all trooped over to Château Cheval Blanc. It was, as usual, a media circus with the top wine critics from around the world shooting interviews with each other and with dapper, sophisticated winery manager Pierre Lurton -- who we would later also see at the Château d’Yquem tasting – the other property he manages. Becky Sue Epstein is back in Bordeaux, for the annual en primeur tastings. Before the Union des Grands Crus tastings started on Monday, she put in a hefty amount of time amongst the other red wines of Bordeaux. Here’s what she learned in her first 24 hours on the ground.